Contest now closed, back shortly with the winner. Thank you for giving me a chance to win these. Love cookbooks! Thank you...I enter every time for these... What an adorable duo and clever idea for books! Oh boy! I'd love to be entered. Thanks so much. Am I first? Cool - Throwing my name in the hat! I honestly think this is the best giveaway yer because You are the Author! Thanks for the chance and have a blessed weekend! Oooh, Oooh! Would love these! A wonderful give-away gift. I'd love to enter for the chance. Hoping I win this time! Hope to win myself the best birthday present! What a great gift! Thanks for the opportunity to win! I love the covers of these books! Thanks for the chance to win! Glad I checked the blog this week! I've been wanting to win these. 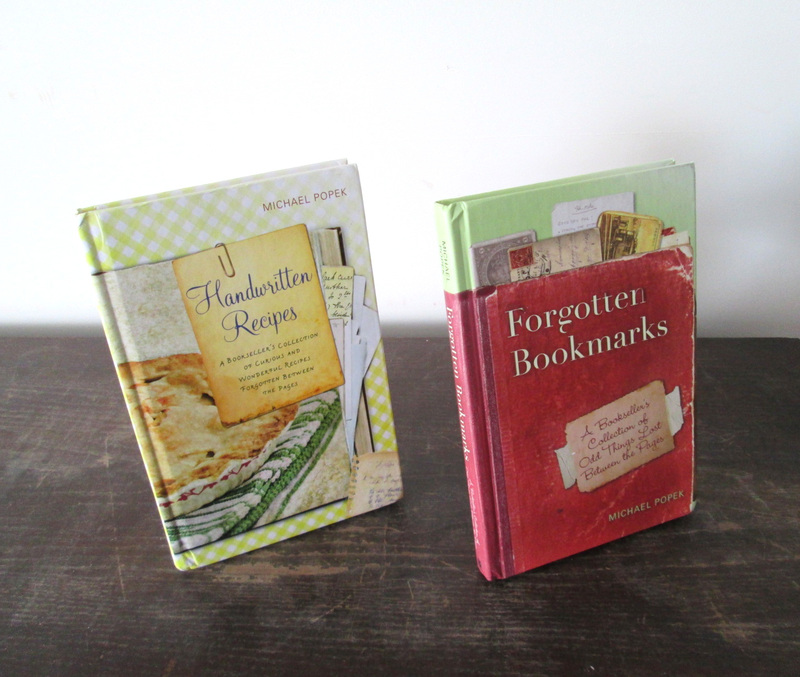 I just started to collect bookmarks and would love to win both books. Handwritten recipes would be a great find in a book. They may be handed down family recipes. I adore old, handwritten recipes! Really gives my cooking that "home-made" feel. Love your blog! Long time reader! Thanks for the give away! Wow! Wouldn't I be thrilled to give these two books a new home? Yes!!! Thank you for your generosity. That's really cool that you have your own books. It would be a nice prize to win. I'd love to have a chance to have these...please add my name to the "hat." Thanks!! I would love to add these to my collection! Super cool ideas for books. I would love to win them. Is the contest still open? If so, I'm in! Oh I'd love to have these. Thanks.